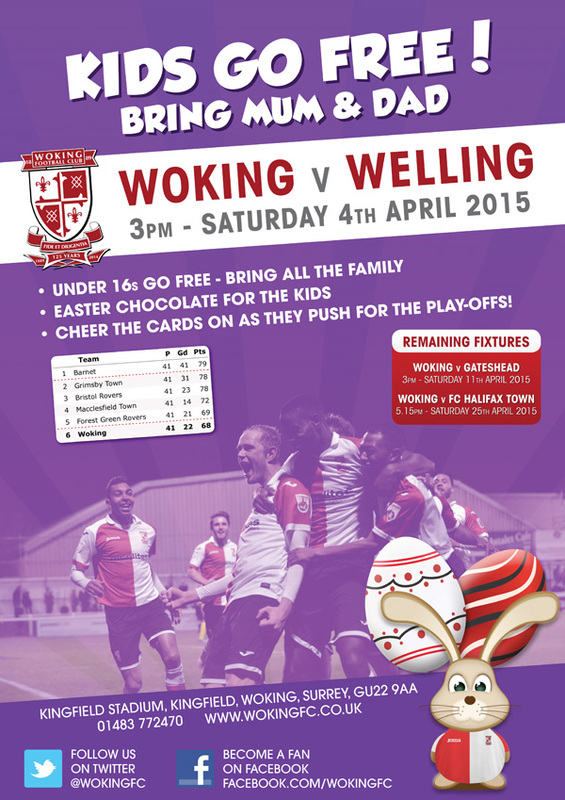 Woking Football Club | News | Kids go FREE this Saturday! Kids go FREE this Saturday! As a special Easter treat from the Club and a thank you for all your great support this season, all under 16s can come along for FREE to Woking’s Vanarama Conference match against Welling United this Saturday. Manager, Garry Hill, has asked for a big crowd for this match, so bring along mums, dads, grandparents, and get behind the Cards as they push for the play-offs!